We welcome Qiao Xiaoyang to Hong Kong, but perhaps he didn't read the report on the results of a study done by City University the other day that concluded the rise of localism does not mean a lack of patriotism for China. 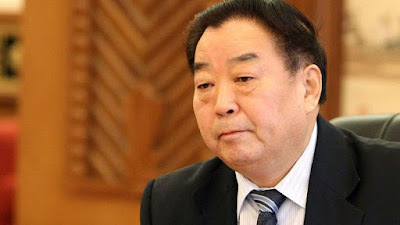 Qiao is a retired chairman of the national legislature's law committee, and he told 200 top local officials at a closed-door seminar today that he did not consider pro-independence calls to be freedom of expression, a fundamental right enshrined in the city's mini constitution. One of the attendees was Ronny Tong Ka-wah, an adviser to Chief Executive Carrie Lam Cheng Yuet-ngor. 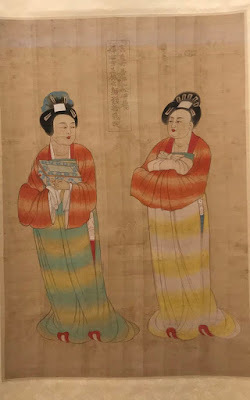 He quoted Qiao as saying: "[Advocating independence] is hurtful to national feelings and contrary to the national constitution. "Under the constitution, Hong Kong is a region under China's unitary system. So, Hongkongers have the duty to uphold the constitution and shouldn't do anything against the constitution and oppose the unitary system on the mainland." You gotta love the argument that speaking out for democracy is "hurtful to national feelings". How is that even substantiated? That kind of news would be censored in Chinese media anyway so it wouldn't be hurtful to anyone. Perhaps Qiao hasn't read Hong Kong's Basic Law? 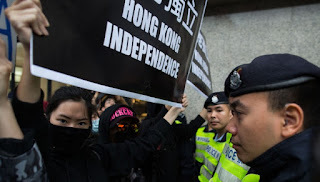 In Article 27 it says: "Hong Kong residents shall have freedom of speech, of the press and of publication, freedom of association, of assembly, of procession and of demonstration; and the right and freedom to form and join trade unions and to strike". But maybe no one at this seminar dared to point this out to him. He also said while the central government would maintain a capitalist system in Hong Kong, it would be unconstitutional to "subvert the socialist system led by the Communist Party", said Wong Kwok-kin, a member of Lam's Executive Council. Qiao is the second mainland representative within a week to speak at seminars on Hong Kong's constitutional order being part of China, following Beijing's liaison office director Wang Zhimin, who on Sunday hit out at local activists for challenging national sovereignty. Statements like his continue to breed resentment against Beijing in Hong Kong... it also shows an utter lack of understanding of the city and its people, only expecting them to conform to its demands. This inevitably leads to more tensions and conflicts that aren't going to get better anytime soon.